Today I want to show you a quick Christmas card that I made with one of the free stamps that I've got from a magazine. Because, let's face it. There is never enough Christmas cards. In this card: White and craft plain card, NitWit Woodland Wishes patterned papers, clear stamp, white embossing powders, silver mirror paper scraps, white thread and gems. lovely christmas card. You are right, you can't have too many christmas cards. And it's not to early to start making them. Thanks for playing along at the Sister Act Card Challenge. Very pretty Christmas card. Thanks for joining us for our current AG challenge. Hope to see you again and good luck! Great design - thanks for joining us this week at 4 Krafty Girlz! Hi, A lovely project, love the gorgeous colours. Thank you for joining Crafting From The Heart this week. Good luck and we hope to see you again soon. Thanks for playing with us the challenge of Inspiration Destination! Good Luck and I hope see you again! Wonderful card. Love the craft paper with the blue. Nice combination. 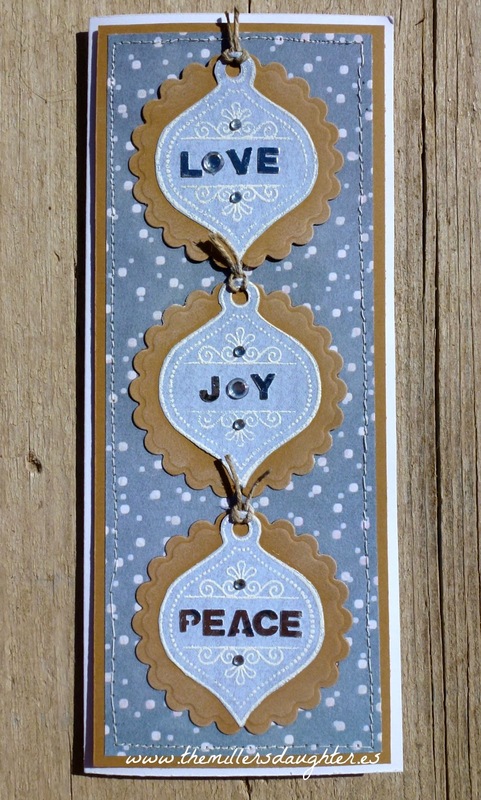 Thanks for sharing this with us at Love to Scrap Challenge. Good luck and hope you'll join us again for the new challenge that starts tomorrow.